As a Canadian expat baby-boomer couple, moving to our beachside condo resort home,"Vecinos" in Cabarete, Dominican Republic was a no-brainer. 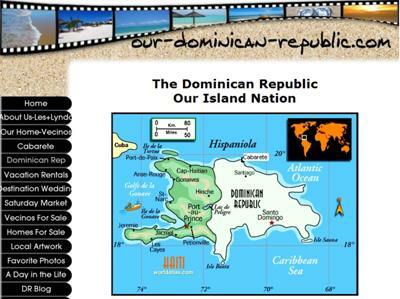 Our website tells you all the ins and out of living in the Dominican Republic. You can get insights about our hometown, Cabarete, vacation rentals, investment property deals and the way of life on our island of Dominican Republic. Return to Scuba Diving Directory .